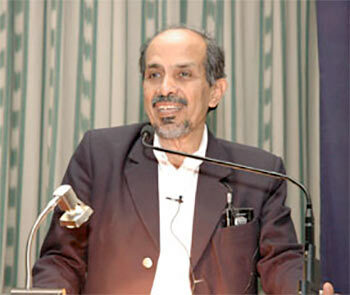 Professor Roddam Narasimha, FRS, is a distinguished aerospace scientist and among the first few Indian engineers to be elected to several leading international academies like the Royal Society, the US National Academies of Sciences and Engineering and the American Academy of Arts and Sciences. Professor Narasimha has contributed enormously to the development of the aeronautical and space sciences in India and works presently at the Jawaharlal Nehru Centre for Advanced Scientific Research, Bengaluru. One of his current areas of research is the study of cloud evolution and dynamics, a subject of great relevance to the Indian monsoons and global climate change. He has co-authored the Encyclopaedia of Classical Indian Sciences: Natural Science, Technology, Medicine (2007). In 2013 the Government of India honoured him with the Padma Vibhushan. What got you interested in Indian science and what is your approach? It began during my student days in the United States, when I was working for a PhD in aeronautical engineering at the Graduate Aeronautical Laboratories, California Institute of Technology, in the late fifties. At Caltech, one had the opportunity to make friends with students from all over the world -- from Europe to Vietnam and Burma and to meet and get to know an equally diverse but distinguished international faculty. I worked with one of them, Professor Hans W Liepmann. There were great cultural differences among both the faculty and the students but, as far as intelligence was concerned, I did not see any great differences. Intelligence seemed fairly uniformly distributed across the world. So if intelligence was not the problem, why were so many countries in the world (including India in particular) rather backward economically and technologically? After meeting many distinguished American scientists, including some Nobel Prize winners, for example, I saw that they had indeed made extraordinary contributions, and some of them (like Richard Feynman) were one-in-a million kind of truly exceptional people, but they did not seem superhuman. And the science I had learnt in Bengaluru, while not as advanced as in California, was not dissimilar; its heroes were the same and had come almost entirely from what one may call the Euro West. So the question arose: Hadn't there been any science or any scientific geniuses in India and, if there had been, what were they like? I started reading about ancient Indic science. This was not easy because not many books were available on the subject then at Caltech, but I did come across a few very interesting ones. The first was Al Biruni, (Persian encyclopedic, 973-1052 CE, who wrote, among many other books, the Tahqiq ma li-l-hind min maqulah maqbulah fi al-aql aw mardhulah: Verifying All That the Indians Recount, the Reasonable and the Unreasonable), who had come to India about a thousand years ago with Mohammed of Ghazni as a kind of scholar-in-residence in his moving court. Several chapters of Al Biruni's book are on Indian astronomy, and they were fascinating to read. He complains that the Hindus think there is no science like theirs, no art like theirs, no religion like theirs and so on. He said, there were pearls in their science, but they were mixed with dung (mostly Puranic stories)! He comments that some Indians believe in the wildest superstitions: How could the reasoning and logic of somebody like Aryabhata (476-550 CE) be reconciled with such superstitions? He is especially harsh on Brahmagupta (598-670 CE), who compromised his science by upholding the mythologists, the Rahu-Ketu myth, on eclipses. However, another scholar in the same century, the Spanish-Arab Said al-Andalusi, (1029-1070 CE, mathematician, astronomer, wrote the history of science: Al-tarif bi-tabaqat al-umam: Exposition of the Generations of Nations) seems to have found mostly pearls in Indic science: In his history of world science, he surveyed the contributions of several peoples -- Greek, Egyptian, Arab, Hindu (Indian), etc, but among them the Hindus were the premier nation. They were intelligent, innovative and creative, and a nation favoured by God, he said. One must remember that at that time the Arab world was a great centre of international scholarship. I found later that the Arabs were usually generous in acknowledging what they learnt from other civilisations (including the Indian and the Greek). There was an internationally known Hall of Wisdom in Baghdad, and the books of Aryabhata, Brahmagupta, Charaka and Susruta had all been translated into Arabic, and some into Persian and Chinese. It looked as if India had been a major player in science at that time, raising the question when and why things changed. So when I returned home from the US, I started trying to read Indic science in the original Sanskrit. It was not easy, but slowly it got to be absorbing. Can you give an example of Aryabhata's thinking? Aryabhata was rational and there is hardly anything that you can call superstitious in his writing. He knew that a solar eclipse occurred when the moon's shadow falls on the earth and a lunar eclipse when the moon enters the earth's shadow. From the shape of the shadow on the moon, he inferred that the earth must be round. This may now be common knowledge, but at that time it was heresy. He went on to propose that night and day were caused by earth's rotation around its axis. Does he say whether the system was geocentric or heliocentric? He does not make an explicit statement about it because, for him, relative motion was what mattered. Actually, he used a version of what is today called the Galilean principle of relativity and gives the example of how, as a boat sails down the river, the trees on land appear to move in the opposite direction to the occupants of the boat. What is stationary and what is moving? To him, it does not make a difference (to the dynamics). Sanskrit was my second language in school, but I did not learn enough so, at my father's prodding, I attended early morning classes at a temple in Gandhi Bazar. During my college days, I continued my contacts with Sanskrit by attending the late Shri D V Gundappa's remarkably multilingual, multidisciplinary Sunday classes at the Gokhale Institute of Public Affairs at Basavanagudi. I started picking it up again towards the end of my stay in the US and began a rather desultory programme of reading books in the original when I came back. It slowly became clear to me that Aryabhata and Bhaskara (known as Bhaskaracharya or Bhaskara II, 1114-1185 CE, mathematician, astronomer) were very smart people indeed, and would be comparable to the best I had seen anywhere. At the same time their style of reasoning, their philosophy, and the way they 'thought' -- all of these seemed very different. Thus the question became: why and how was it that science in India was so strong in what the West calls its Dark Ages but had, in more recent times, stagnated and lagged behind? Can we go back to the dispute between Aryabhata and Brahmagupta? 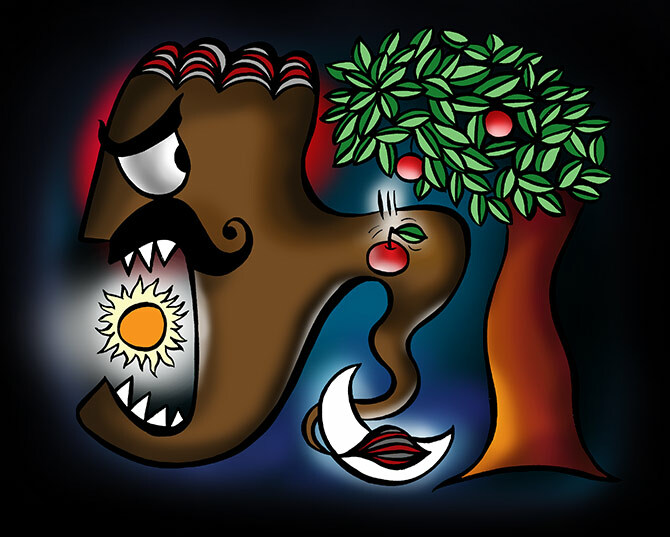 Aryabhata rejected the story of a daanava (demon) named Rahu swallowing the sun or his tail Ketu covering the moon during eclipses. Eclipses occurred due to shadows, he said, and he did not see any shadow of a tail! Brahmagupta, who came more than a century later, was a great mathematician himself but did not agree with Aryabhata about rejecting the Rahu-Ketu myth and criticised him and his followers scathingly. However, one of these, Varahamihira (505-587 CE), dismissed Brahmagupta's arguments as 'absurdities' as Brahmagupta's predictions of eclipses were also based on the shadow theory (This inconsistency in Brahmagupta was Al Biruni's main target)! One thing I learnt from all this was that the debate between mythology and 'rational' science in India is at least as old as Aryabhata and Brahmagupta and, to this day, has not been resolved in the Indian popular thinking on science. I think there is a wonderful play waiting to be written, a play involving Aryabhata and Brahmagupta, Plato, Newton, Ramanujan, Neelakantha and so on, arguing across the ages! In spite of the dispute, Brahmagupta and Aryabhata continued to be treated with respect by later Indic mathematicians like Bhaskara and Neelakantha. Unlike in Europe, Aryabhata did not suffer an inquisition or punishment. I remember wondering as a kid what the Ontikoppal panchanga (published in Mysore, brought home every Ugadi by my father) meant when it claimed it was made Aryabhatiyareetya (following Aryabhata's text the Aryabhateeya), mentioned drg.ganita (syllables that sounded strange and fascinating to my childish ears) and so on. Clearly, Aryabhata was the father of an Indic approach to astronomy that remained foundational for nearly 1,500 years. It signified an important concept in the Indian philosophy of astronomical science. The major objective was to achieve agreement between drik (seeing, observation) and ganita (calculation). In today's language, drg.ganita's outlook was that the computed prediction must agree with observation. This may not seem surprising, but Greek thinking needed a conceptual model (sometimes very elaborate, with assumptions many of which we now know to have been wrong) before one got down to calculations (which they had largely learnt from the Babylonians). Of course, they also wanted agreement between prediction and observation. On the other hand, according to Plato, a smart 'geometer' should be able to figure it all out by pure thinking. Indic philosophy emphasised calculation without insisting on the elaborate models of the Greeks -- a philosophy that I like to think of as 'computational positivism.' This philosophy served us well till about a century after Newton -- Indian ganita predictions were as good as or better than the best elsewhere. However, in the 19th century, the power of the Newtonian revolution coupled with the use of algebra and computation changed the character of astronomy (and other physical sciences). And progress in Europe was so rapid and spectacular that the level of accuracy achieved there surpassed that of Indic methods by large margins early in the 19th century.